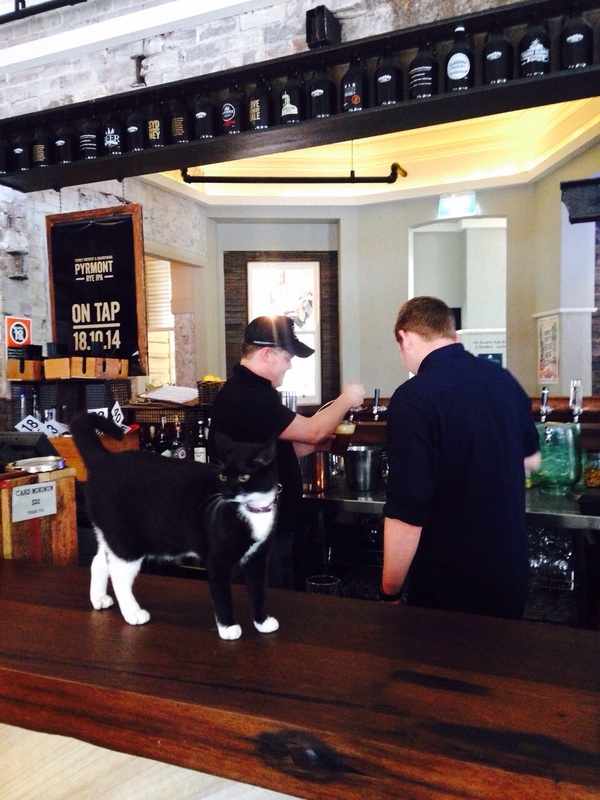 So said a man on a barstool in Sydney when I asked about local craft beer. I thought it was brilliant. 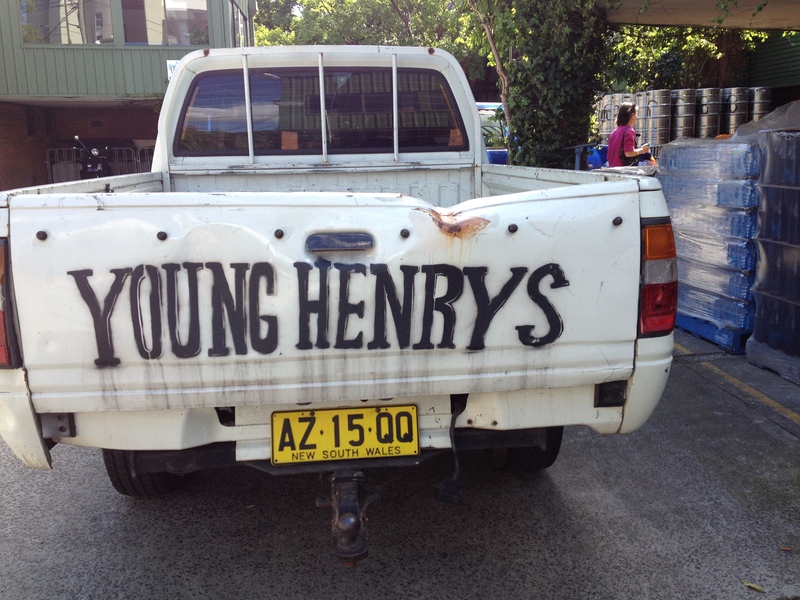 Finally- a better word than “craft” to describe small-batch, hand-made, artisanal beer. The other word I had been thinking about lately was “bespoke”- which technically is closer to “custom” but in most FT contexts seems to have taken on a broader meaning- anything made with exacting standards, focusing on quality over efficiency, and uncompromising in materials, methods, and expertise. What craft meant before it was highjacked by tax laws. Pardon the six-plus month interruption, dear readers. Clearing up some health issues. Suffice it to say that on the up side, I got to wear some cool wigs of all sorts; on the down side my taste buds were temporarily broken. All is right again! Where were we? 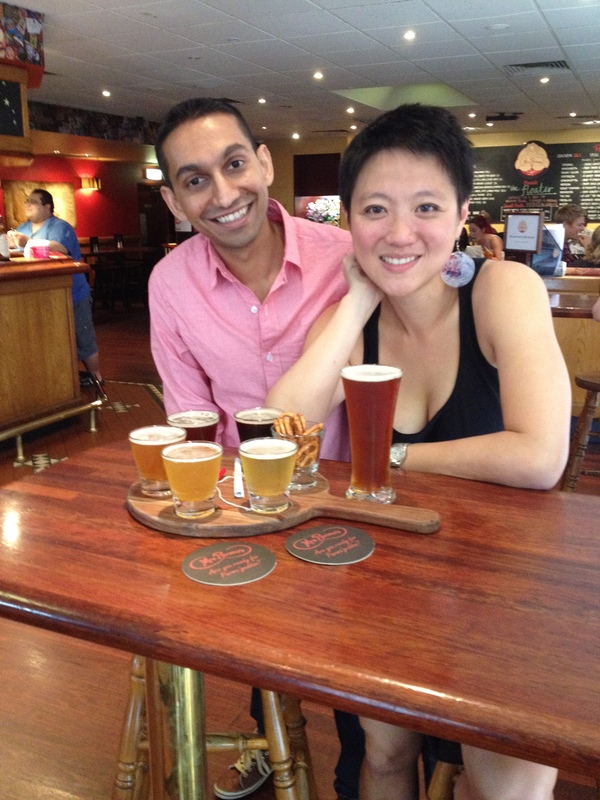 Oh yes- in Australia with the newly-minted beer geek Vera. 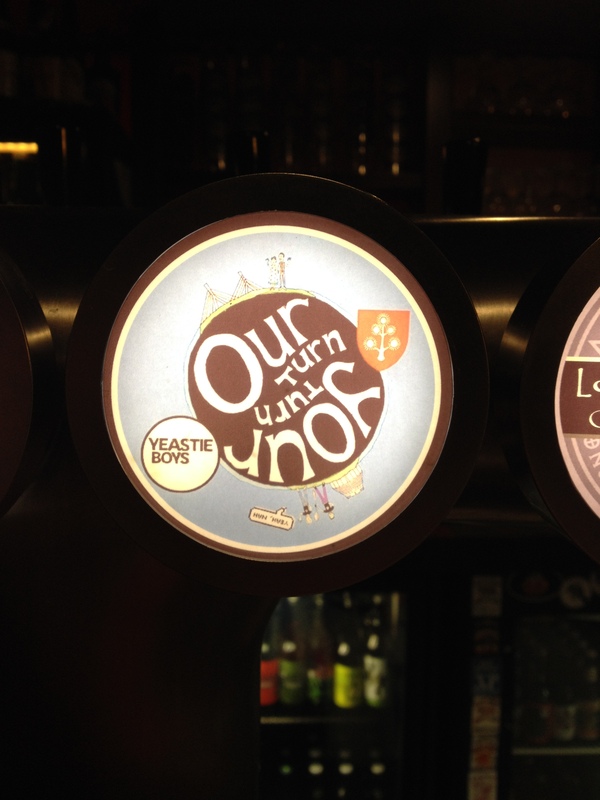 (See last post) Here we are – sharing a sampler and a pint. 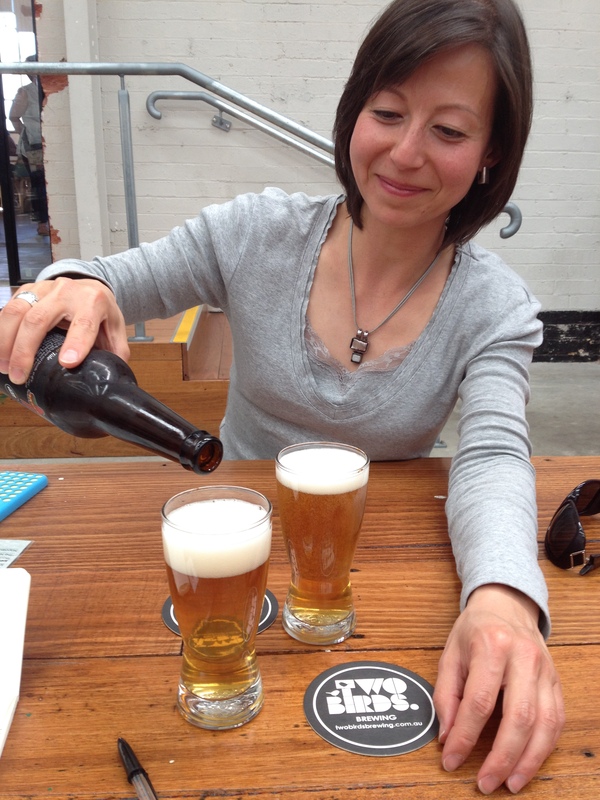 Vera lives in Sydney, but this was the first time she was approaching her own town as a beer hunter. 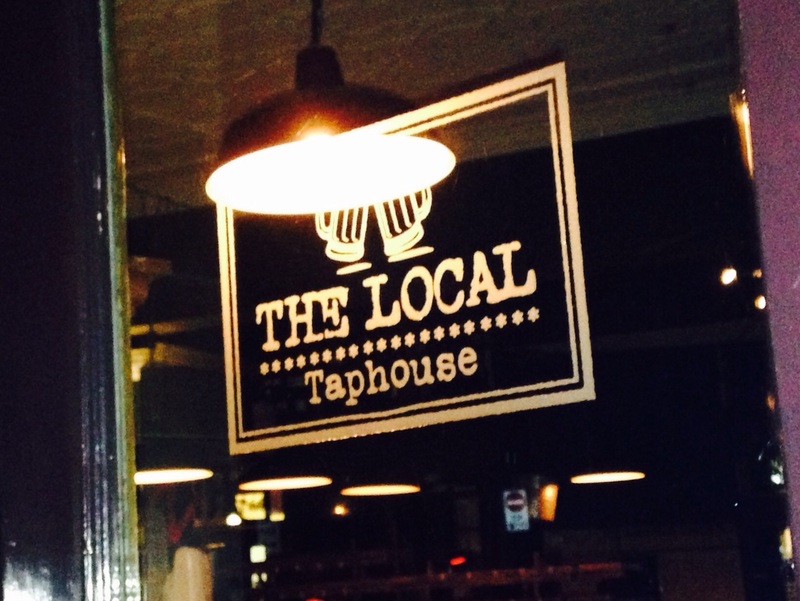 Our fist stop was her local, which happens to be called The Local. 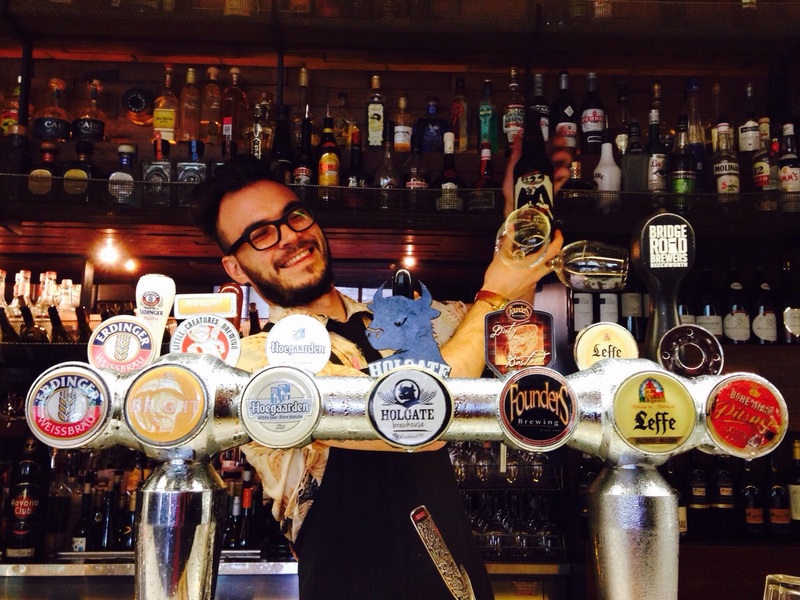 It’s a small bar with a solid selection of Aussie beers. We had several by Bridge Road, which ended up being our brewery of choice by the end of the night- especially the Nieuw Bruin aged in cognac barrels. And while I learned to say things like “fair dinkum” and “dodgy as” we hit Bitter Phew (best play on words), Four Pines, Nomad, Young Henrys, Batch, the roof deck of the Sweeney Hotel for a Goat Mountain tap takeover, the Royal Alfred (excellent homemade dumplings and plenty of Doctors Orders), Lord Nelson, Quarrymans, Frankie’s Pizza, and a fabulous bottle shop called Oak Barrel. 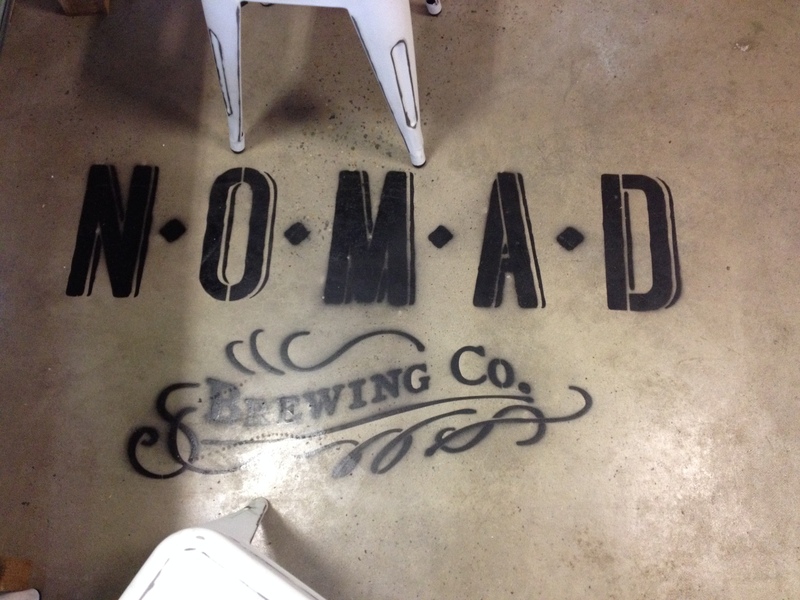 At Nomad, Brooks Carretta, the brewer who is from Italy’s Birra del Borgo and also trained in the US, treated us to Sideways Pale and Jet Lag IPA. 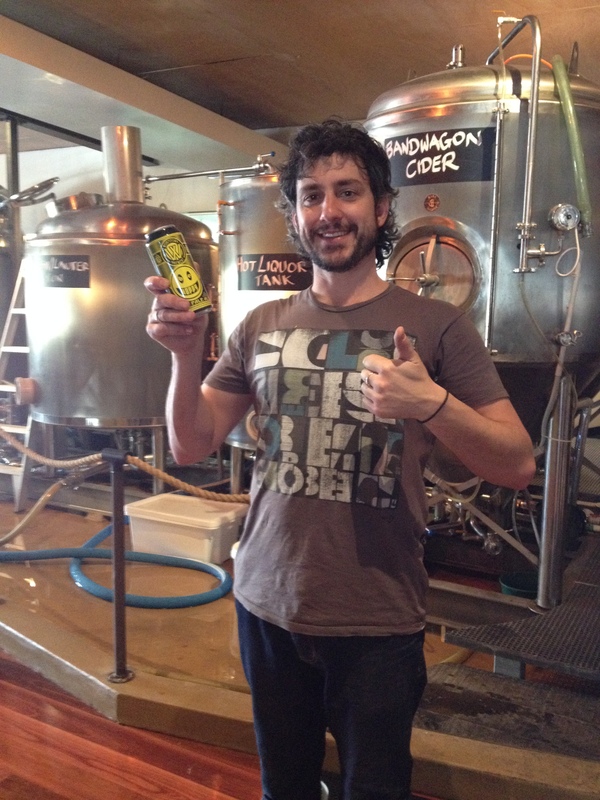 Assistant brewer Jack Thompson created Vera’s favorite- Long Trip Saison. I have a habit of crashing breweries that are technically closed. Every time, the welcome is warm and I leave humbled. When Vera and I opened the door with the large and quite clear “closed” sign (we did bring a beer present!) Batch brewer Topher Boehm gave us a beer before he even knew we’d brought him one. 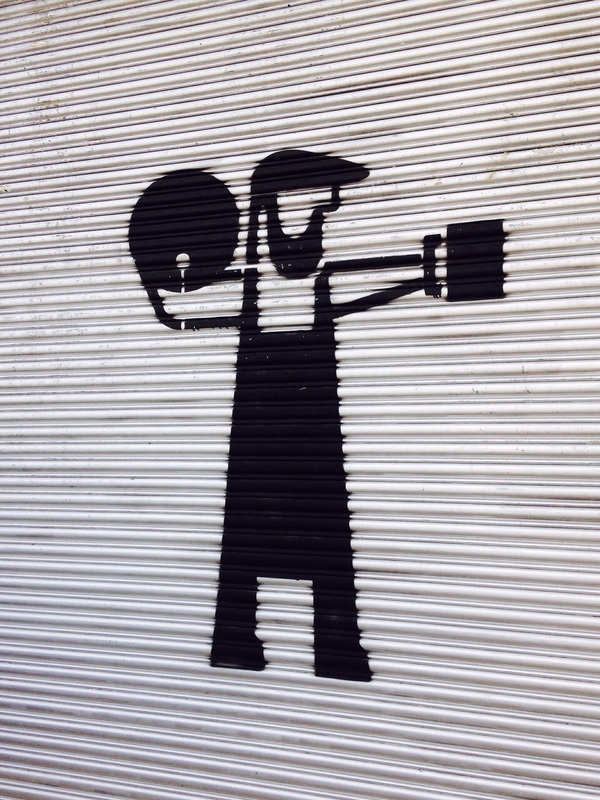 Cool logo, eh? 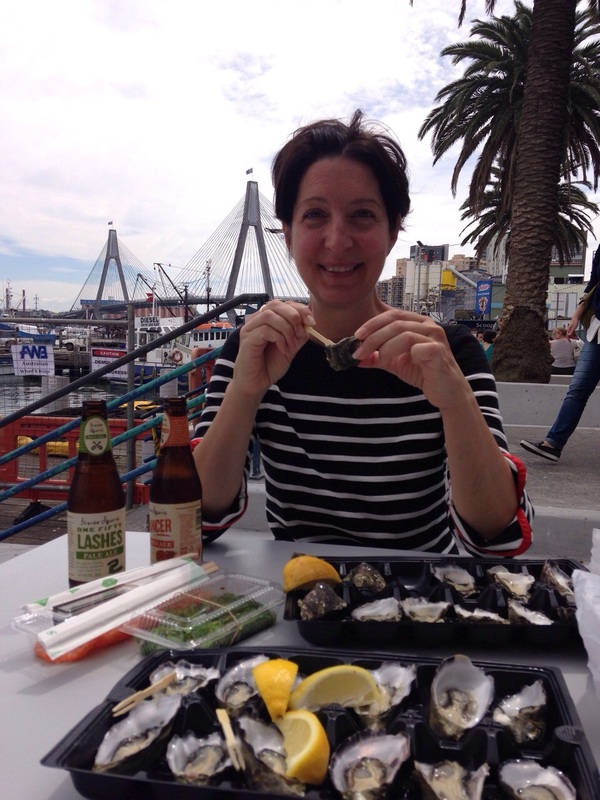 At the Sydney Fish Market, we picked up a couple of craft bottles (they leave an opener on a chain at the check out so you can consume your beer on the picnic tables with the oysters you just bought). I am a sucker for rye in beer. It’s finicky for brewers, but the special tang it gives a beer is like no other. So when I first saw the sign outside Quarryman’s Hotel (not really a hotel- there are a lot of places like that here) touting the Payment Rye IPA, I was excited. But the fine print said the release was actually in the future, in fact the exact date that I would be returning from New Zealand to the states. 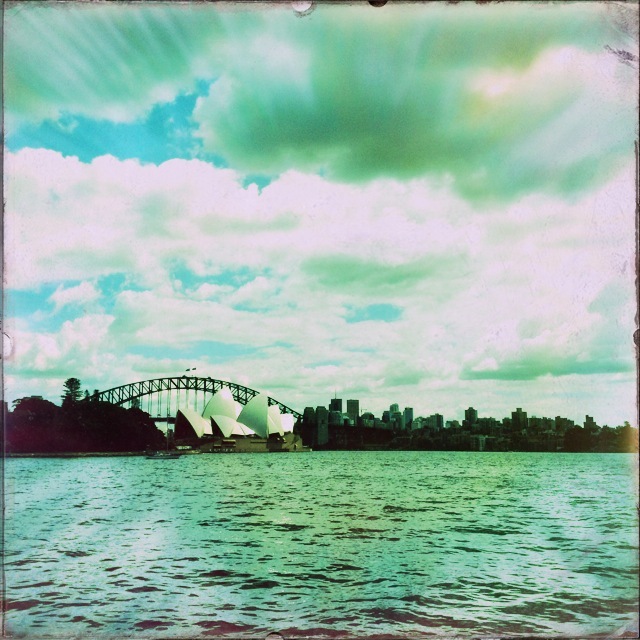 With a six hour layover in Sydney. Plenty of time to leave the airport for a beer, right? 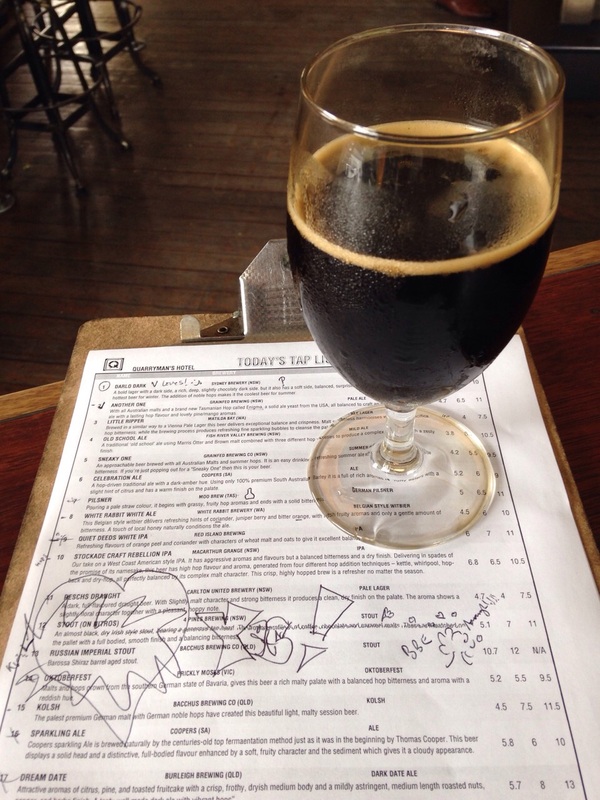 While at Quarrymans, we enjoyed many beers- so many we started to draw hearts on the menu to indicate our favorites. Like the Bacchus Russian Imperial Stout aged in Shiraz barrels. I have a picture of us kissing the glass, but not everything should be posted on the Internet. Know what I mean, jelly beans? It wasn’t all about beer. I got my State Library of New South Wales Special Collections library card (that’s how you get to see maps) and learned what an interrobang is- the love child of a question mark and exclamation point that serves as the SLNSW’s symbol. 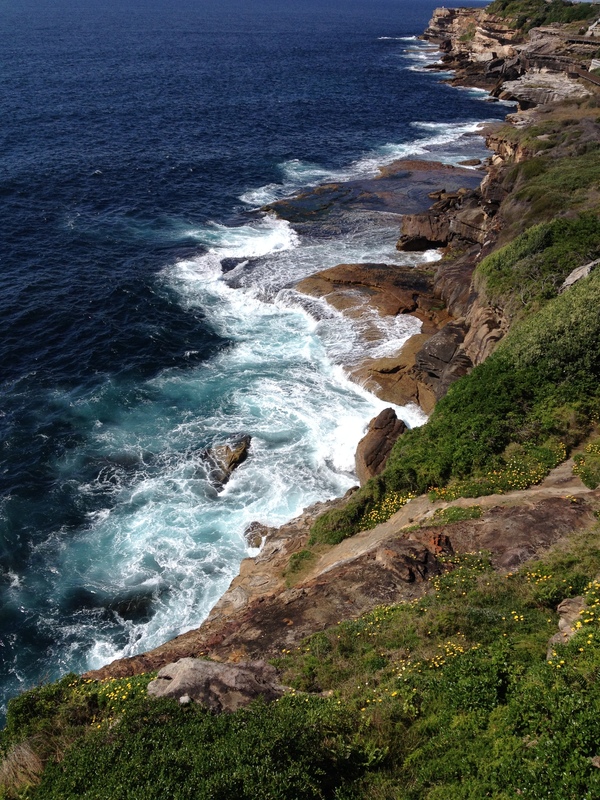 Strolled the Botanical Gardens, put my toes in the water at Bondi Beach (Vera, part fish, went for a swim), and had some ridiculous food and wine at The Duck Inn. Then it was off to Melbourne. We met Vera’s friends Jacquie and Runil at Mrs. Parmas (which I was told could not be missed by a former Mountain Goat brewer and fellow Bruges traveler). “Parma” is local for parmigiana, as a cooking technique. I think. The food was fine; the beer list absolutely special. Vera and I had it pretty posh- staying in a 29th floor penthouse apartment with people who keep a Porsche and a Lotus. The best part was that when we went anywhere with them, we had to take two cars because each car only holds two people. They offered to let me drive- and as much as I would have loved to, the combination of driving on the left + expensive car + beer is not a winning one. Mountain Goat had a special event on the one day we could have visited, but we made up for it with stops at Cookie Bar (far above), SlowBeer (immediately above), The Royston (across from Goat Mountain) Two Birds, Junction Station, and Dr. Morse for splendid hot chocolate and chilled local Vermouth from Yarra. 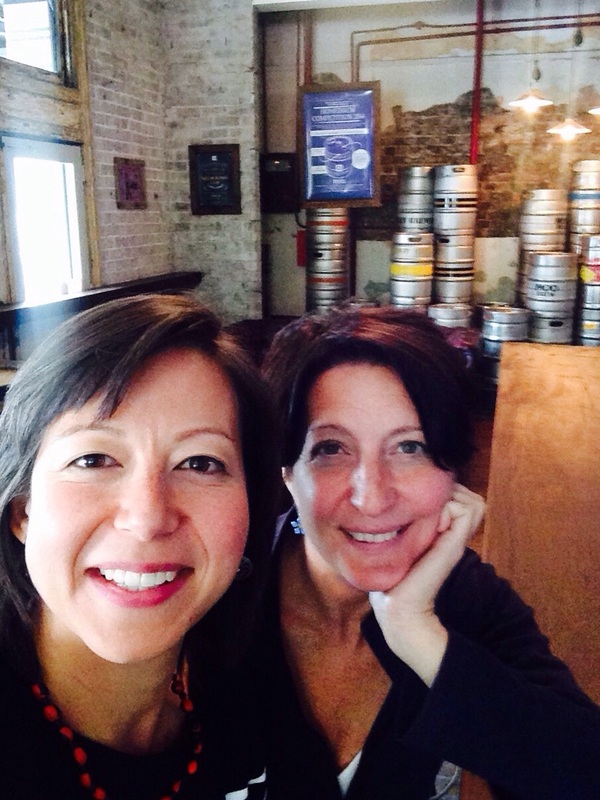 Two Birds is a woman-owned brewery. 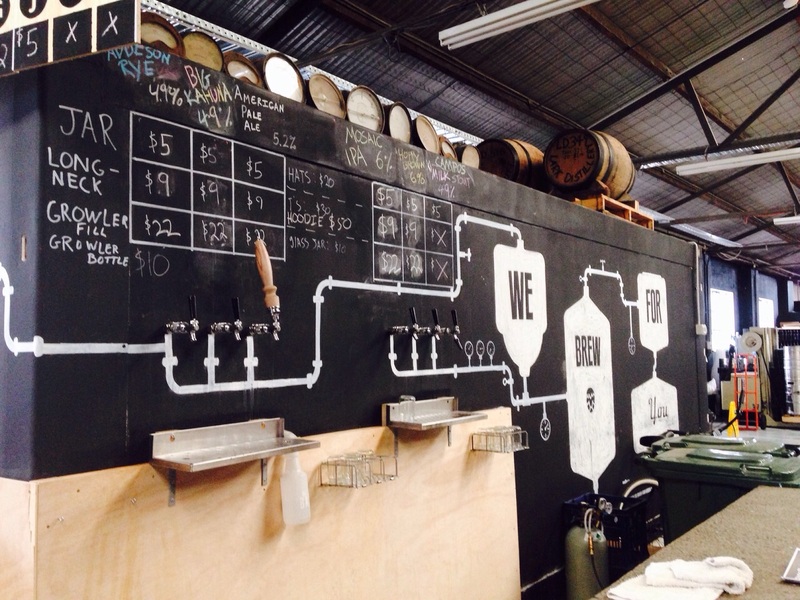 They have a beer garden in the center of the brewery (below) with a live DJ spinning vinyl. We drank Taco and raved. 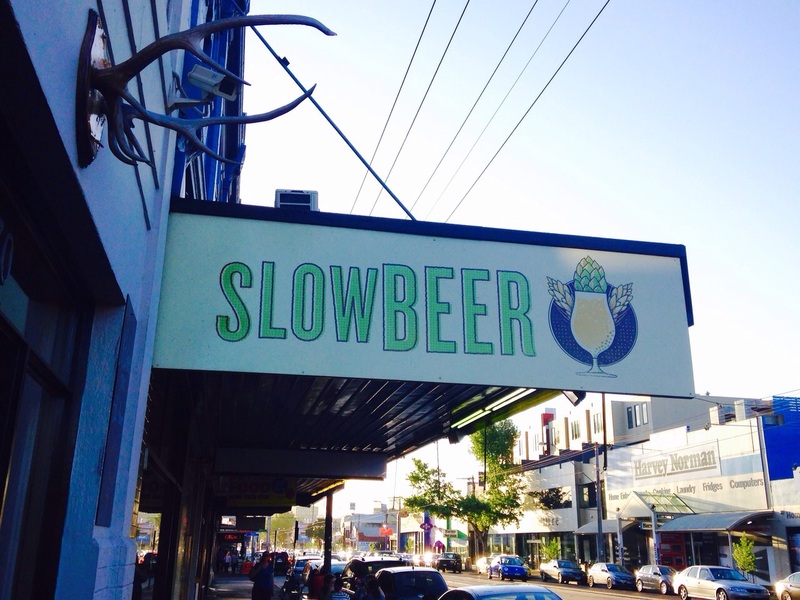 If you only visit one brewery in Melbourne, make it this one. 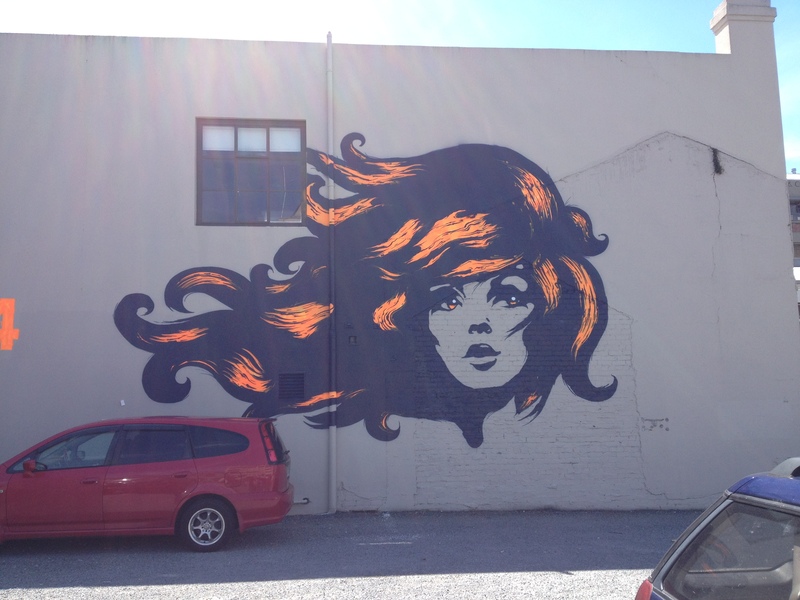 At this point of the trip, I headed to Wellington, New Zealand and Vera went home to Sydney. 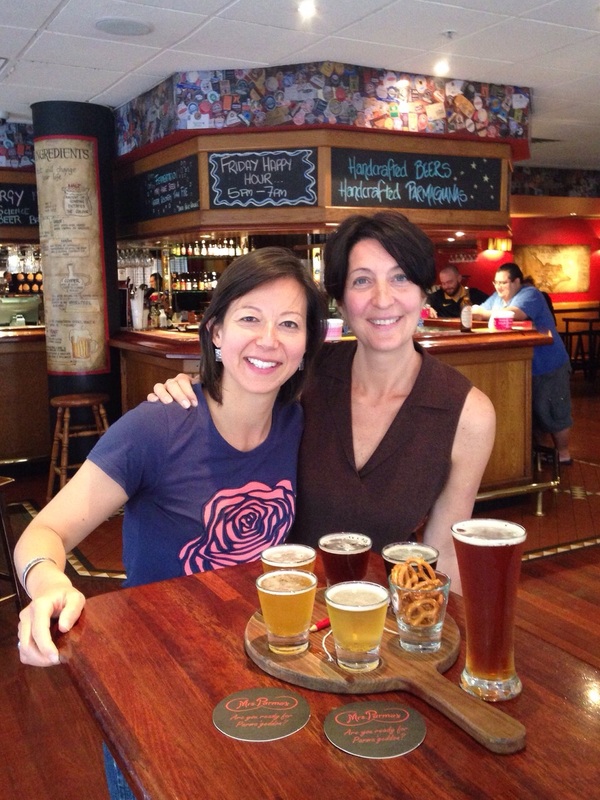 She planned to pick me up at the airport for our Quarrymans rye beer release layover excursion in a few days. 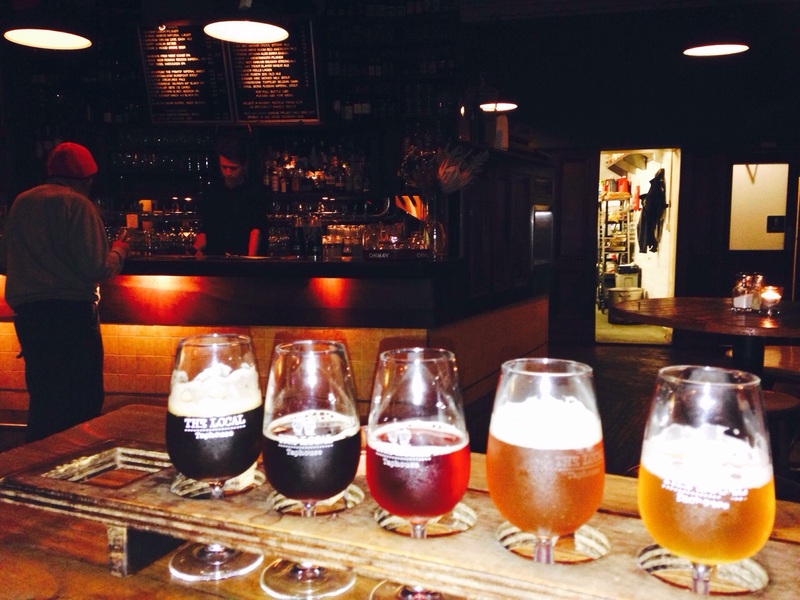 The Wellington beer scene is quite organized. I crossed the street from my Airbnb pad and found this map (above) at the first bar I walked into. 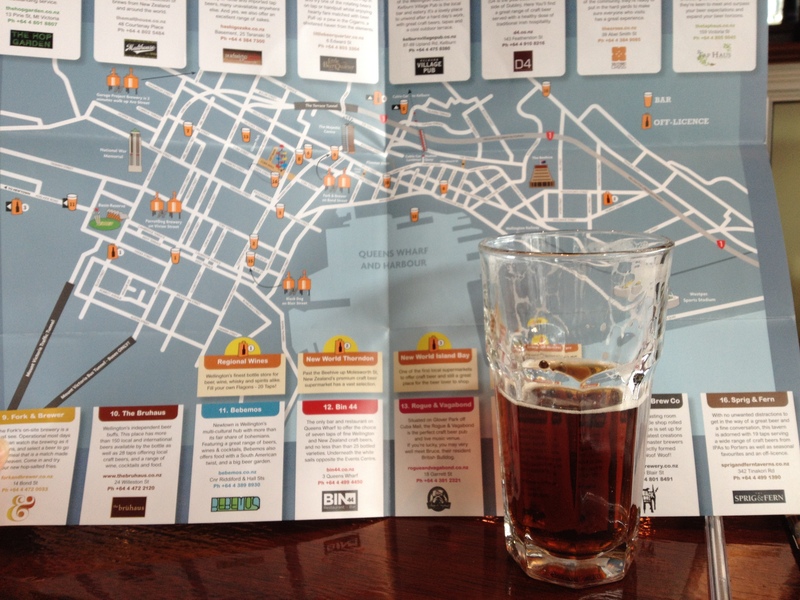 It’s a beer map of Wellington. I hit most of them over the next few days, in addition to visiting the Te Papa Museum, eating excellent local seafood (like octopus dumplings) at Bin 44, and learning more about cricket than I ever meant to. 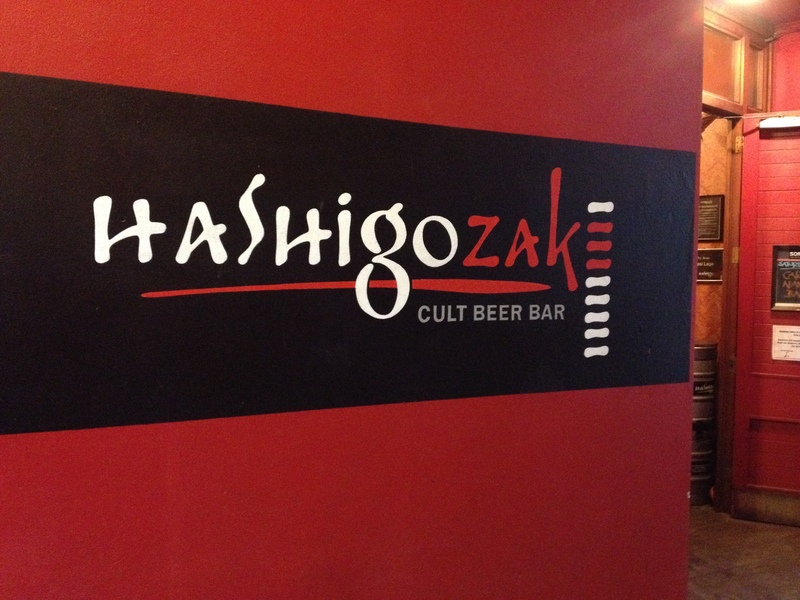 Imagine my surprise when I walked into Hashingozaki to find my local Cambridge Pretty Things collaboration with Yeasie Boys on draft. It was delicious! Cambridge is about as far as you can get from Wellington. Dann and Martha seemed as surprised as I was. 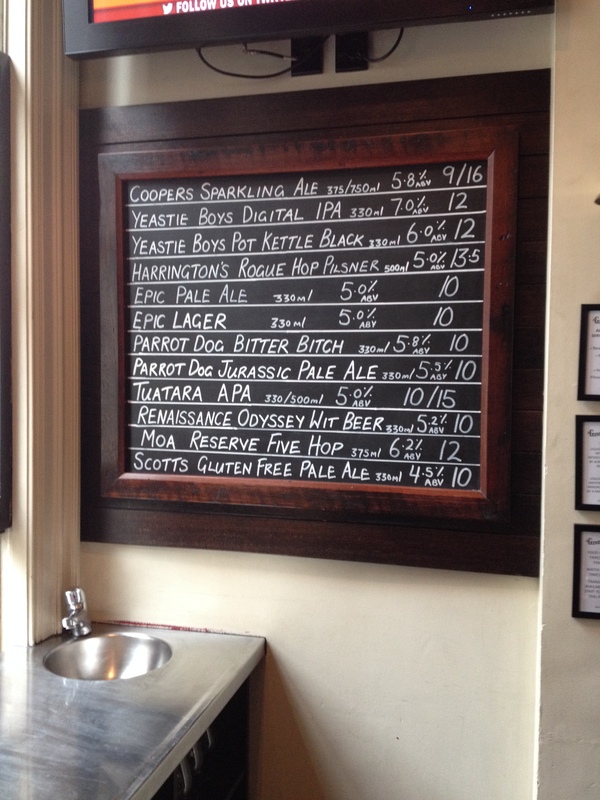 The General Practitioner (beer list above), a lovely bar in a former physician’s house and office, has a serious list and good food. 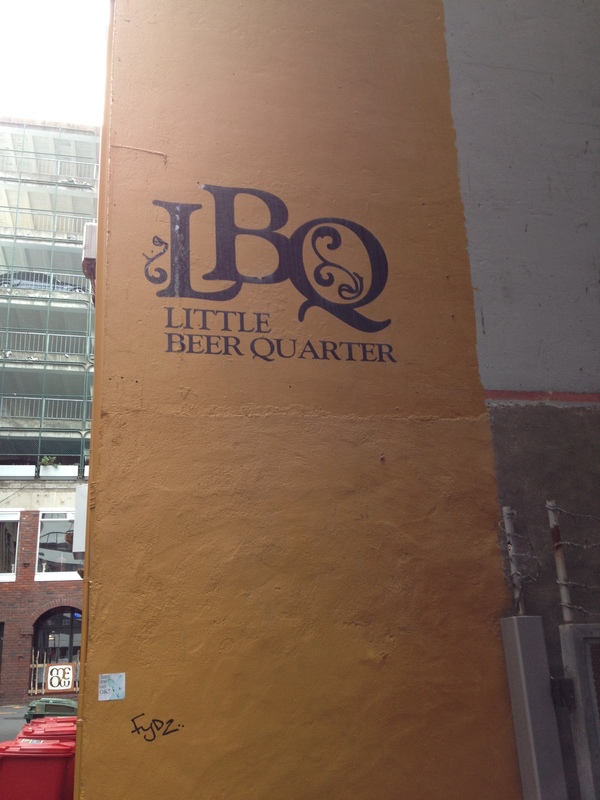 The Little Beer Quarter (above right) recommended Mike’s APA. Apparently he’s a local who fills the kegerators with his homebrew- it was so good I started looking for Mike’s name everywhere I went. When I entered the Fork & Brewer, I saw what looked like a homebrew setup half way in the dining area. This was a place for me. 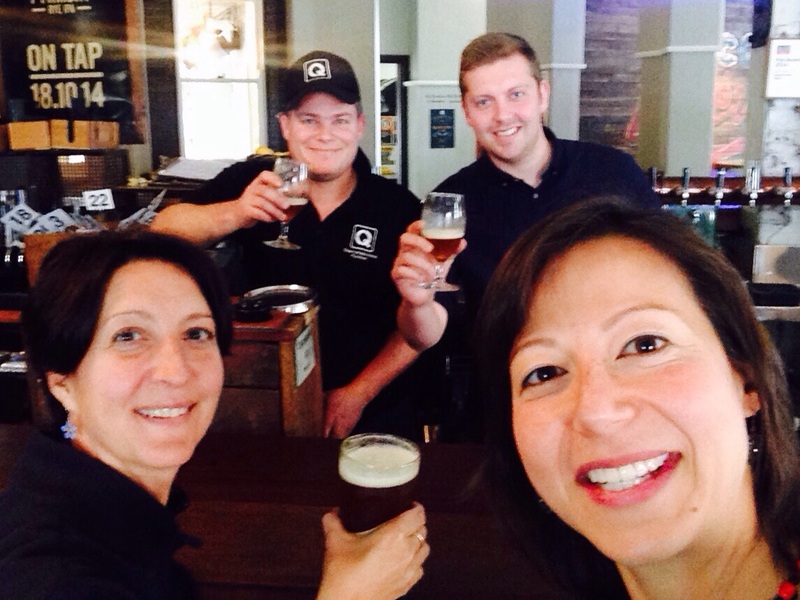 Kelly Ryan dashed across the room in a flash, mid-brew and doing three things at once. In the middle of juggling all that he let me try Big Tahuna IPA pulled from the bright tank. Let’s just say- he’s not just a pretty face. 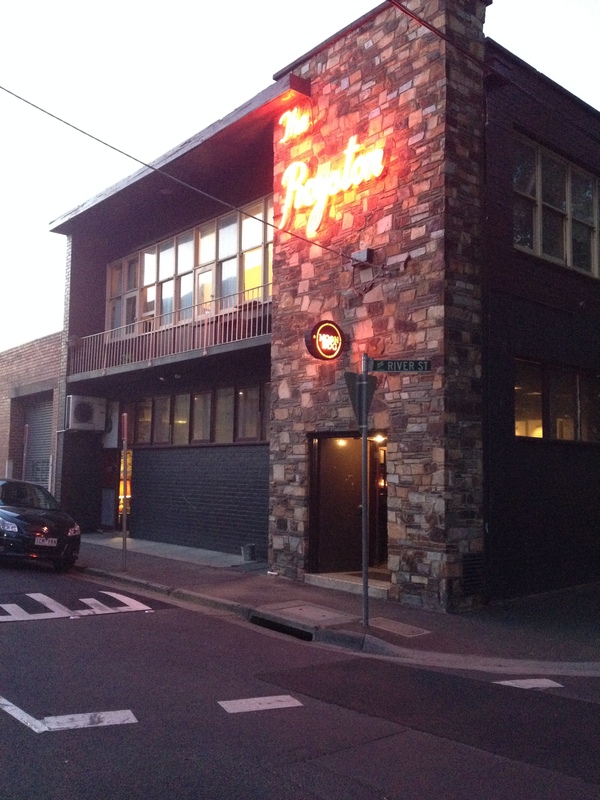 Of all the beers I tried (I stopped counting at 75- it just doesn’t sound good) the one I looked most forward to was the rye IPA that was scheduled to be released at Quarrymans in Sydney the very day I was returning to the states. Everything was ready- I was allowed to leave my luggage at the airport, Vera picked me up right on time, we got rock star parking in front of Quarrymans. Which was our first clue. It was 10:00am, and Quarrymans was closed. 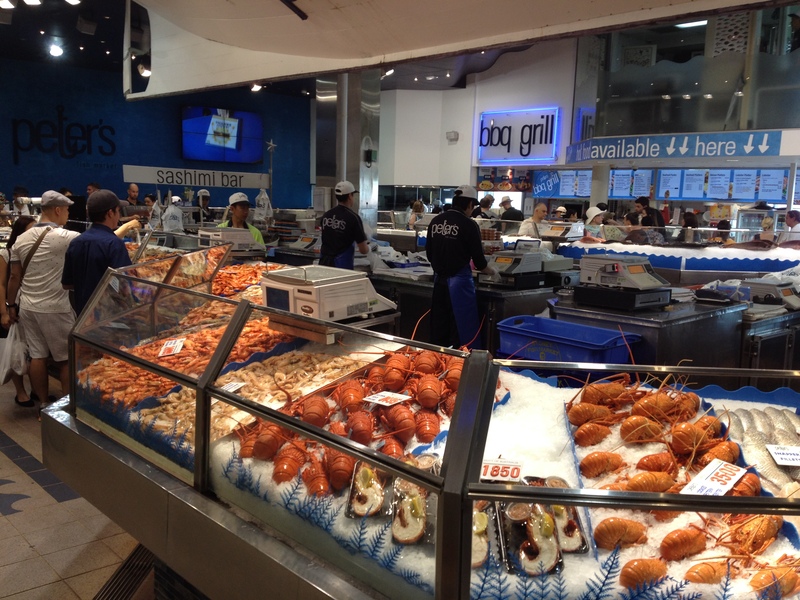 They opened at 11- when I needed to be on my way back to the airport. But Vera would not be deterred! After almost three weeks of beer geeking together, she ran at the window like a crazed bird when she saw something move inside and started pounding. I wasn’t sure if I should help or bolt- especially when we realized the thing moving inside was a cat. As I was still deciding, a nice chap came to the door- and in one breath she got it out: my-friend-was-here-last-week-and-came- back-during-her layover-just-to-try-this-beer and we’d be-so-grateful-if-you’d-let-us-in. And do you know? They did! It wasn’t even chilled yet- they’d meant to serve it in the afternoon. They set up a jockey box, tapped it, and the four of us were the first to try it. Thanks ever so much Adrian Evans and Josh Hover! People always ask me what my favorite beer is. I used to respond that it’s about more than a great beer, it’s the context in which you drink it. 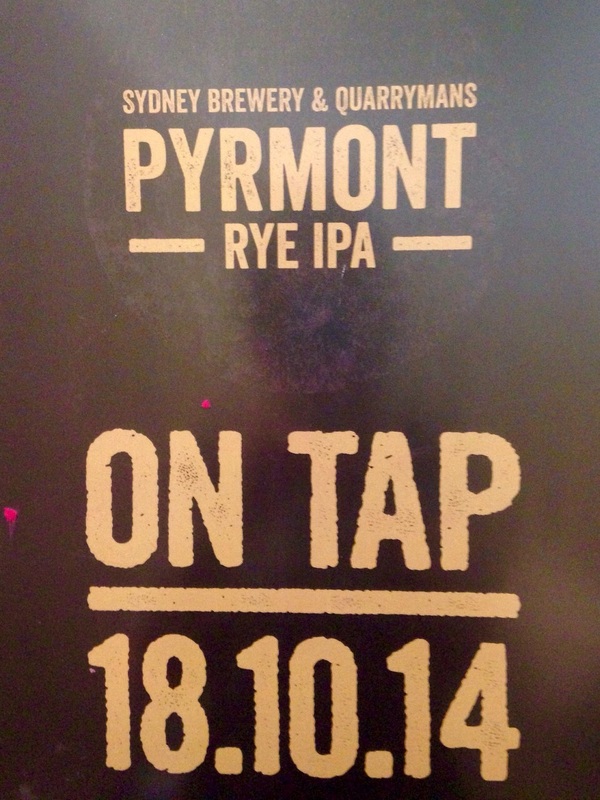 But now I just say: Quarrymans Rye IPA on October 18, 2014 in Sydney.